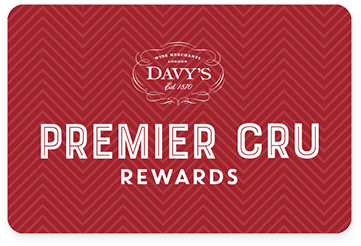 Premier Cru Rewards - Purchase this today and earn 37.5 points to redeem for free wine and gifts. Pedro Ribeiro and his wife Catarina Vieira moved to Vidigueira, an area which benefits from an excellent micro-climate, to produce wines that are true to the historical traditions of Alentejo. Made with Aragonez, Touriga Nacional and Trincadeira, fermented in stainless steel and matured for 6 months in french oak barrels. A lovely red with intense aromas of red berry fruits and hints of chocolate. Medium to full-bodied with soft tannins. Espaço Rural is the personal project of Pedro Ribeiro and his wife Catarina Vieira. Both winemakers, from other Portuguese regions, decided to come to Vidigueira, in the Alentejo, to produce wines that are true to the historical traditions of this region. Their selection of grapes, low-yields, careful pruning and early harvest are some of the procedures they fastidiously follow, but the main innovation happens in the winery. As a tribute to the region they ferment their wines in impermeable clay pots called Talha, where both wine and skin remain in contact until 11th November, an important day locally as it is St. Martin’s Day. The resulting wines are mineral, fresh, elegant and above all, authentic. Their wines recently caught the attention of renowned wine critic Julia Harding MW, who writes for JancisRobinson.com, she gave high scores to both their red and white wines. View our selection.